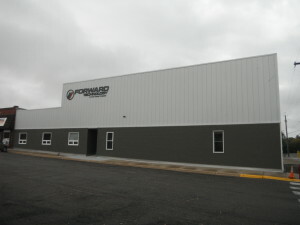 COKATO, Minn., April, 2016 – Forward Technology, a leading manufacturer of standard and custom plastic welding equipment and testing systems, has announced a major expansion of its machining operations including construction of a new facility to house its CNC operations and the purchase of a state-of-the-art 4-axis machining center. 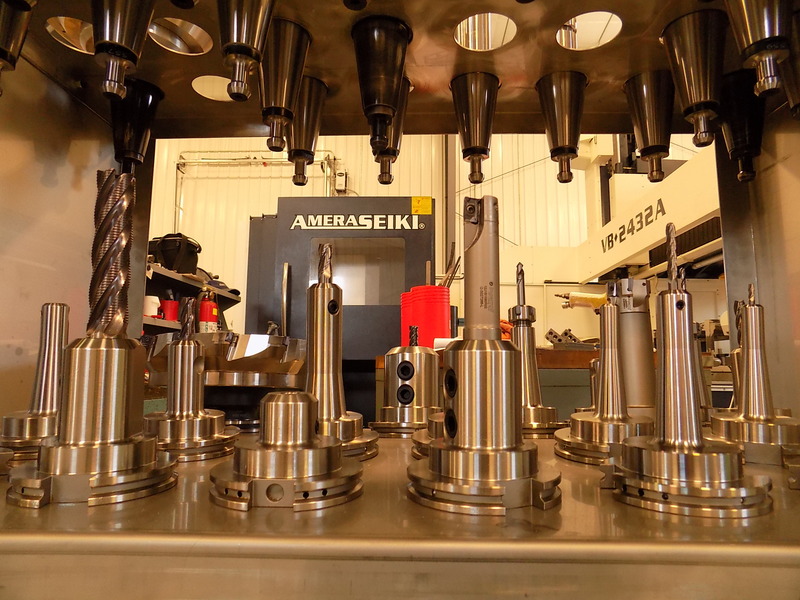 The $1.2 million investment enables the company to consolidate its CNC operations and perform all of its machining in-house, according to Brian Kivisto, president of Forward Technology and executive vice president of the Crest Group. Forward Technology’s new 6600-sq-ft CNC machining facility, which is attached to the company’s main manufacturing/office complex in Cokato, will house Forward’s existing eight machining centers along with the new AmeraSeiki Model VB2432A four-axis vertical machining center (VMC). The focused investment on machining, which was completed earlier this year, is an integral part of the company’s strategic growth strategy which targets improved productivity and reduced cost for its customers, explained Kivisto. 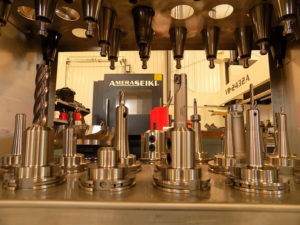 Previously, Forward Technology was forced to outsource machining for larger castings and frames because of the limited size of its existing machining centers. The new four-axis machining center will enable Forward to better respond to market needs by eliminating outsourcing to local vendors, thus reducing lead times and improving quality control. In some cases, lead times will be shortened by two to four weeks, according to Kivisto. The AmeraSeiki vertical machining center boasts a capacity of 48-in by 108-in. It also features a right angle head which permits the use of a fourth axis. The VMC is claimed to be one of the largest vertical machining centers in the state of Minnesota. Forward Technology, a company of the Crest Group, manufactures standard and customized plastic welding and testing systems specifically suited for thermoplastic parts for a broad range of applications in the automotive, medical, appliance, battery, filtration/fluid air, and consumer goods markets. The product line includes systems for hot plate welding, vibration welding, infrared welding, spin welding, and ultrasonic welding as well as systems for burst testing and custom leak testing. We just started our own YouTube channel – click here to see some of our equipment in action! Posted in Uncategorized | Comments Off on New YouTube Channel! COKATO, Minn., September 12, 2014 – Forward Technology, a leading manufacturer of standard and custom plastic welding equipment and testing systems, has announced a major expansion at its Cokato, Minn. headquarters site, which will enable the company to significantly expand penetration into growing markets. Forward Technology’s 10,000-sq-ft expansion includes 6500 sq ft of extra manufacturing space and 3500 sq ft of new sales/office room. “With our broad product portfolio of plastics assembly and testing equipment, we are firmly positioned as a strategic supplier and this expansion signals our further commitment to key national and multinational OEMs,” said Kivisto. Forward Technology designs and manufactures one of the broadest portfolios of standard and customized plastic assembly and testing systems specifically targeted for thermoplastics. The product line includes systems for hot plate welding, vibration welding, infrared welding, spin welding, and ultrasonic welding as well as systems for burst testing and custom leak testing. Forward Technology is a world-class manufacturer that designs and builds one of the widest available arrays of standard and customized plastic assembly and testing systems specifically targeted for thermoplastic parts. The company is located in Cokato, Minn. with a satellite service center in Sterling Heights, Mich. Forward Technology is a unit of the Crest Group – a multinational corporation comprised of several entities (some with similar offerings) who share ideas and technological developments to enhance and expand the capabilities of the entire Crest Group Company. To visit our parent company’s website, go to www.thecrestgroupincorporated.com or www.crest-ultrasonics.com. Forward Technology manufactures systems for hot plate welding, vibration welding, infrared welding, spin welding, and ultrasonic welding, as well as burst testing and custom leak testing. The company can incorporate standard core technology into an automation system, including robotic capabilities, to meet specific requirements. For more information, visit www.forwardtech.com.